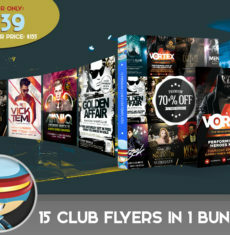 Our first ever Business Flyer Templates bundle and about time too! Web Design Bundle 1 is a fantastic collection of modern flat style flyer design templates perfect for online businesses and freelancers to use in their offline promotions. Web Design Bundle 1 features a mainly flat design style, a currently trending and very popular type of minimal design techniques. 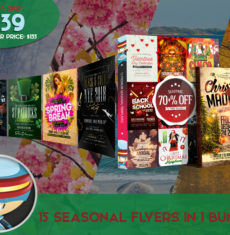 This super modern and latest-craze style means your flyers will have an undeniable top of the market feel with the latest style that all professionals are looking for. Each files uses free fonts and comes as an easy to use PSD with well labelled layers and folder structures. 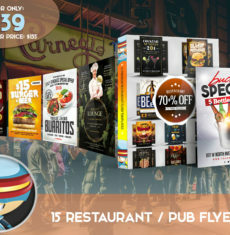 Included in this flyer bundle are 8x Photoshop PSD web designer flyer templates with a flat design style. You can see each included template in the preview image above and inspect each one fully by using the links to the individual product pages below. 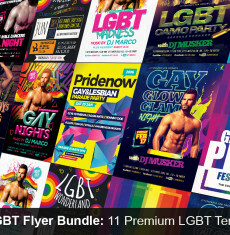 The Web Design Bundle 1 is a premium package of fully editable Photoshop PSD flyer template. Once you have downloaded this template, using Adobe Photoshop CS4+ you can make use of this flyer design an unlimited number of times 100% royalty free.